Tell a tale in 40 words with sound effects, cash prizes- they run regular mini contests so it’s worth book marking their page. I’ve won in the past. Tell a tale in 80 words in this bi monthly comp with cash prize and to raise funds for fighting homelessness. 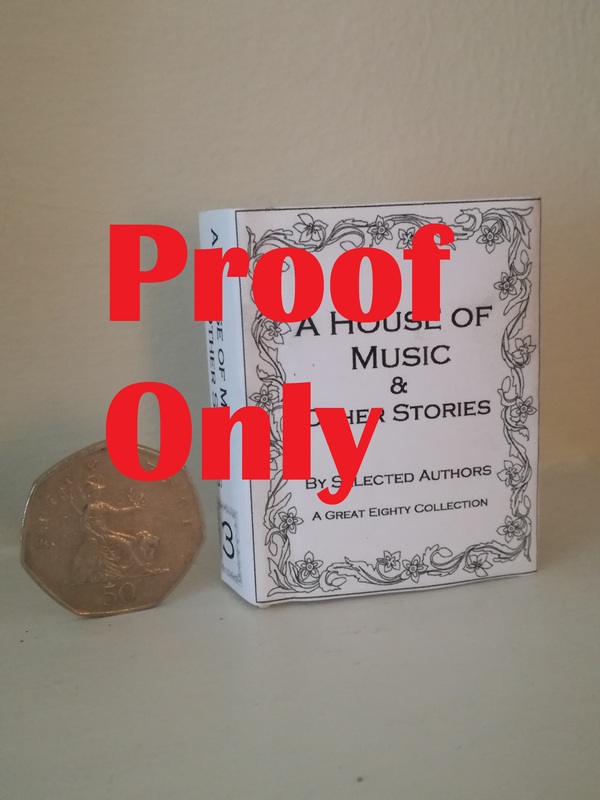 Here is their tiny anthology they are printing for a Xmas stocking filler. My tiny tail about a Mermaid has won in the past. linked to the Bath FF Prize, this has a word prompt, 150 word limit, runs weekly and they compile an online e doc for you to vote and read. Thank you to Esther for publishing this piece of flash- one of my favourites- on her blog; it is also available to read in Otley Writers anthology ‘The Darkening Season’. Every week, on a Friday, I invite a writer to appear in my Guest Writer Spot. If you’d like your writing to appear on this page, please contact me here or by e-mail: esthernewtoneditor@outlook.com. I accept stories, poems, articles – in fact, anything and everything. All you have to do is make sure your prose is no longer than 2000 words and your poems no more than 40 lines. This is not what I had imagined happening when Lisa had said we should dress up for Halloween and make a night of it. I’d been thinking more about wearing matching witch and wizard costumes, going on a pub crawl, getting hammered and heading back to mine. for free monthly 100 words competitions, heads up on useful sites and editing advice plus prizes of editing. Literally 101 word stories only. If your piece is accepted you receive useful editorial/layout advice and there is quick response. run by Stuart Conover, a fast expanding useful site for horror/supernatural writers with comps listed/magazine call outs, a fiction section for long and short pieces- fast response and editorial advice too. Like so many other people our household has been struck down by the lurgy- my son calls me a ‘biohazard’ and 45 boxes of tissues later, I think he has a point. We should definitely buy shares in Kleenez. 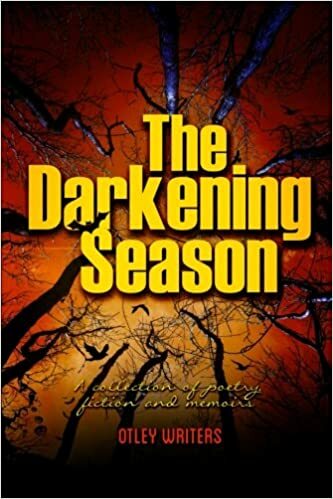 I have proofread and edited Otley Writers latest anthology ‘The Darkening Season’ which is NOW available to buy on amazon. The book launch is on 30 November in Otley, unfortunately this time I can’t make it 😦 due to a clash with a school event but I wish the group well. In fact this Friday I am running a mini workshop, by invitation of poet and tutor James Nash, on Flash Fiction, at Otley Courthouse for the group. This will a fun challenge as there is a lot of experience in the room. I am back at The Craft House tomorrow for part 3 of 4 – how to write a short story– we’re up to endings now!!! The group is small but terrific fun and there is some great writing coming out of the sessions. I love my Tuesday afternoons with them. Always much laughter around the table. ‘Gone Fishing’ which is the opening of the longer story which has been recorded by South Tyneside Talking newspapers. It is a feel good tale about a daughter and father bonding over fishing. No horror in it all really. The free Leeds based magazine ‘Suburban’ has published my 600 word story, Crow Girl in their November issue. Blogger and writer Esther Newton will be publishing my piece of flash, Zombie Hunting this Friday 24th November on her blog. This is the piece which I read out at Ilkley Literature Festival Fringe event and is one of my favourite stories, combining horror and humour. 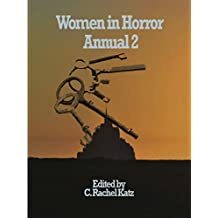 I’ve been reading the tales in Women In Horror Annual 2, in which I have a story; I have really enjoyed the others, all written engagingly to a high standard comparable to paying horror magazines or anthologies I’ve read (and I’ve read a few by now)- there is a mix of American/British/Canadian authors and some interestingly different takes on the genre. I never thought I could feel sorry for a werewolf but reading Kathleen Danielson’s ‘Red’ I did! Nicky Peacock’s ‘Backseat Driver’ has a wonderful furry twist to the tail. Mine is the sole example of Victorian Brit Gothic horror- I love films and books in that genre. Tracy Fahey’s ‘All our Rooms are Ensuite’ is creepy and claustrophobic and you’ll view ensuites differently from now on. If you would like to read and review a copy please get in touch with me via email and I will send you one out, with my bloody finger prints attached. Thank you. Teaching, upcoming workshops and a new anthology out at the end of November…. I was so delighted to read that and receive similar feedback rom others. To inspire and share my love of language and writing fiction/poetry matters so much to me and if people leave my workshops wanting to write moreand enjoying it, then my job is done. At the Craft House in Saltaire our group did a fun exercise around 8 words spewed out by the random generator. I have posted the short paragraphs we wrote as they are fun and were done swiftly under time pressure. This is exactly why I don’t like cats. Timber never learns. The airing cupboard with it’s tower of fluffy towels is not his spot to sit and relax. Damn. I knew I shouldn’t have left the door open when I nipped to the bathroom. Now I’ll have to cajole the little thing out of there. I swear those towels stink of him when he’s been nesting in there. “Timber, out,” I say, peering into the cupboard. It’s hard to be calm with a cat you despise. “Timber.” He’s deaf so I have to shout. Okay. This was not supposed to happen. Timber is pulling at my necklace. Tawdry, pizza, patronise and liberate. “Aren’t you ready yet?” yelled Tom up the stairs to Claire who was still putting on her make-up. When Claire finally walked down the stairs Tom criticized her efforts and claimed her jacket looked tawdry. They arrived at Pizza Hut in time to meet up with their friends. Claire always felt uneasy around Tom’s mates because they appeared to say things in a patronising way towards her. Deep down, Claire knew this relationship wasn’t going anywhere, but there was no way she could think of a way to liberate herself. Constance it turns out has real flair for writing witty limericks- not so easy to do as you might think. I find it really tricky myself. Was so heavy it might have been lead. With high hopes and day-dreams. Might be best if t’was brains there instead. Princess a gorgeous, fluffy Persian wears her diamante necklace collar and leash, only after Jack had spent half an hour cajoling her with bits of his pizza, her favourite food. Jack stood up, towering over his pet. Now was his chance to liberate the mouse from under his settee. This was the tawdry side of his beloved Princess. He didn’t want to be patronising, but she was a fat fluffball who couldn’t kill for toffee. He was her clean up man. and it has a Christmas theme- write a unique gift for someone- and take your work away with you to frame.. In January 2018 I have linked up with Bingley artist Jane Fielder to do a workshop at her lovely gallery at 29 Park Road on Monday 22 January, 2018 1-3.30pm. It is £20 per person and there is a maximum of 8 places to fill. Finally the proofs of the 2nd Otley Writers Group’s anthology have arrived. 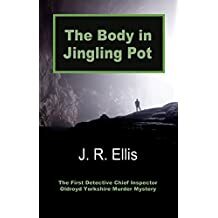 I am proofreading it before the world launch along with author John Ellis aka J. R. Ellis best selling crime writer of ‘The Body in Jingling Pot’ available on amazon to buy. 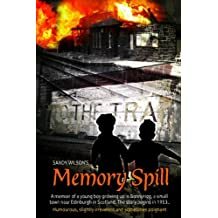 And Sandy Wilson the driving force behind these books- also a popular author with books available on amazon. Here is the cover of the Otley book- The Darkening Season- looks fab.